Last Friday night in New York City, at the Grand Havana Room. The lounge area had been transformed into dinner space, a podium brought to the front. 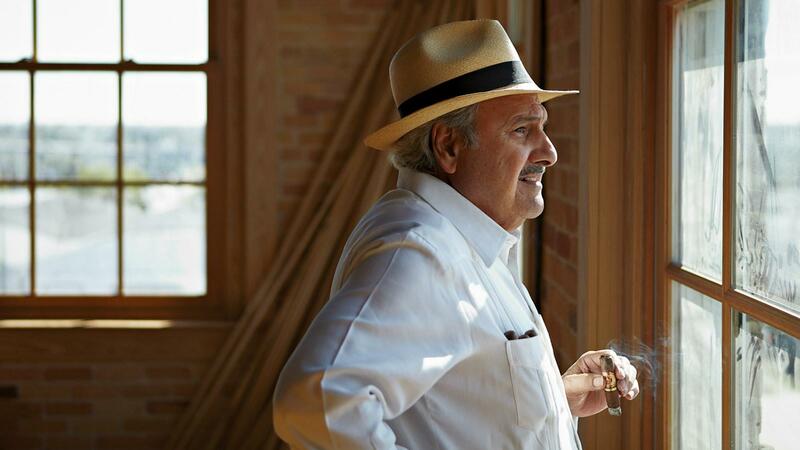 The gathering was a special one, an event to raise funds for the Cigar Family Charitable Foundation, and this year it was done in honor of Carlos Fuente Sr., who died in August. Brought together by the love of great cigars, fine wines and the need to commemorate the memory of one of the legends of the cigar industry, the packed room opened their wallets to charity and drank in the memories of Fuente Sr.'s many accomplishments as they smoked Fuente cigar after Fuente cigar. His legacy was on hand in the room. I sat at a table with Fuente's daughter Cynthia Fuente-Suarez, Christina Suarez, one of his grandchildren, and Eric Newman, a longtime business partner and a champion of the Cigar Family Charitable Foundation. That charity built a school for children of need in the Dominican Republic, near the fields where Fuente grows the rich, dark wrapper that goes around its Fuente Fuente OpusX cigars. At the head table sat Carlos Fuente Jr., the right hand to Sr.'s left. The two of them worked side-by-side for so many years, figuring out the lean times, innovating with new products and reinvesting profits back into tobacco to ensure a long, prosperous future. There were many speakers. Dr. Jude Barbera, who organized the event, spoke at length throughout the evening. He and Bill McCuddy ran the auction, which together with the ticket price raised around $300,000 for the charity. I gave a toast to Fuente Sr.'s memory, talking about how he built this company from a small, local business into a giant that makes more than 30 million cigars a year. After I spoke, famed trumpeter Arturo Sandoval played an original song that he created to honor the man, who was a dear friend. Then he picked up his trumpet and played "Amazing Grace." It was a fine night, a fitting tribute to a great, great man.